Been thinking about buying a luxury property in Costa Rica but not yet ready to retire? Luxury rentals in this region are hot, especially in the high season. You don’t have to move in full time yet. While you continue working and raising the next generation of your family, your Costa Rica home can work for you. Some of our readers are ready to invest in Costa Rica’s luxury real estate market in the Costa Ballena. They either have real estate assets in another market that they want to liquidate to lessen their property tax burden; they already have cash ready to invest; or they have IRAs that they want to diversify. These buyers are not yet ready to retire. Even though they’ve been to Costa Rica a number of times and have fallen in love with the South Pacific, they are not sure if they should or shouldn’t take the plunge. Today’s question that we want to answer is one that is burning on a lot of minds recently: is now the time to invest in a luxury property in Costa Rica? Here’s what we can tell you with confidence: ocean view listings—both existing homes and vacant lots—are very scarce in the non-luxury market. This has boosted the price on a few listings in that market and buyers are gradually moving up the pricing ladder. As a result, the luxury market has begun a small incline in demand as well, including a host of luxury developers beginning new projects in this region. Our office has seen a rise in buyers shopping for homes between $500k-$800k, sometimes going above the million dollar mark. Our region is experiencing growth in the luxury real estate market coinciding with international financial indices growing and with Costa Rica’s environmental acclaim growing, too. An increasing number of international property investors have found their way to Costa Rica and fallen in love with the culture, lifestyle, attitude, and the luxury rental income. And as the scarcity in the non-luxury ocean view market grows, the interest in the luxury market expands with it. Owning luxury property in many international real estate markets has become a big tax burden, especially in key areas of the United States. 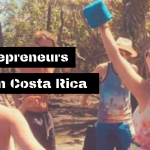 Many of our luxury buyers are deciding to pack up their businesses and their lives, or at least scaling back significantly, and moving to Costa Rica. Here, they can live a luxury lifestyle for far less and their home is much less of a property tax burden, paying a property tax of only 0.25% of the value of the home annually, and 0.25% luxury tax if it applies to their property. That is a maximum of 0.5% of the property value annually in taxes. And any rental property in Costa Rica is IRA eligible as long as you are not intending on using the property for your own purposes. A good possibility to circumvent this stipulation is to purchase a property with a guest house that can be subdivided, meaning that you can purchase the guest house with your own finances while you use your IRA to purchase the main home as a rental. Out of hundreds of rental homes, there are about 80 luxury rentals active in the Costa Ballena on the popular rental home site, VRBO. The luxury rental home rate is at least $300/night with more than half of the luxury homes renting for over $500/night in the high season. Local property management expert, Christine Schiferl, from Jaguar Property Management, says that the Costa Ballena region has great rental occupancy rates. According to Christine, as a rule of thumb for Costa Rica vacation rental properties, you can expect an annual net return of 4%-6% on your investment. Don’t forget this income is incremental to the enjoyment you receive during your own personal use of the property! On average, a good rental property will rent about 65% of the year. At least half of Costa Ballena’s luxury rental homes on VRBO are booked in April, at the tail end of the high-season (December-April). This trend continues as I search through the months of the rainy season. It appears that luxury renters don’t mind coming for a week in June if that’s when they can take a holiday, even if it means a bit of rain in the afternoon. Those who are a bit more savvy when it comes to the jungle know that the rainy season is a great time to get your fill of fresh fruits straight from the trees and plenty more animal sightings in honor of the fruit. A recent luxury property sold through our Osa Tropical Properties office currently makes around $90k per year, which is a 6.6% return on investment. The new owners even plan to increase the nightly rental rate due to great occupancy. This four bedroom luxury rental is out of a “major” town center but it is luxuriously situated in the jungle with an incredible view of the dynamic Playa Ballena coast. Currently, they rent for $360/night in the low season and $450/night in the high season. When it comes to luxury, people expect the best quality experiences. Incredible ocean and/or mountain views, beautiful floral landscaping, and modern or artistic contemporary design is the preferred aesthetic for clients in this region. Luxury renters want to see high-quality brands in the fixtures and appliances, and they want hand-crafted, high-end finishes in the furniture and details. Local stores like Naluri Collection in Uvita and Royal Palm Interiors provide special options for decor, with much more available around the country. Media and entertainment spaces must be plentiful and well-stocked with fast internet speeds, and the outdoor area needs a gorgeous pool with shaded lounge spaces. Costa Rica is all about living outdoors and taking in the incredible natural sights and sounds. And when it comes to luxury, nature must also be experienced in style and comfort. Looking for a bigger incentive to invest in a rental luxury property in Costa Rica? Celebrities love to vacation in Costa Rica! Most recently, these Pacific shores have seen the likes of Demi Moore, Sharon Stone, Catherine Zeta Jones and Michael Douglas, Selena Gomez, George Clooney, Rafa Nadal, Leonardo DiCaprio, Mel Gibson, Usher, Miley Cyrus, Beyoncé and Jay-Z, Chris Hemsworth, Matt Damon, Lady Gaga, Giselle Bundchen and Tom Brady, Bono, the Kardashians, Keylor Navas, Rafael Nadal, and Jamie Oliver.